1) Put in order the following steps to do a pizza. 2) The pizza I prefer is. 3) Chose the pizza toppings. 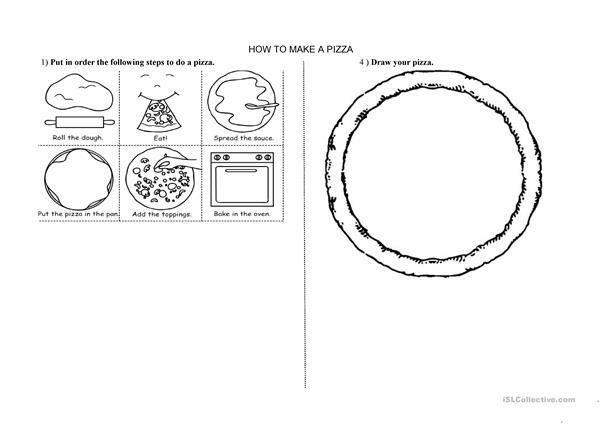 4) Draw your pizza. 5) Speak about your favorite pizza. 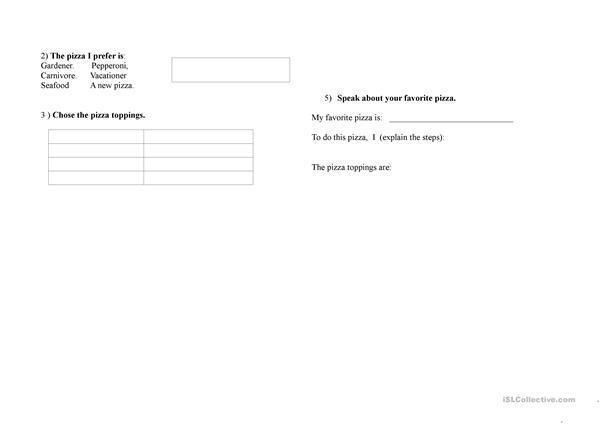 This downloadable worksheet is a great resource for elementary school students and kindergartners and nursery school students at Elementary (A1) level. 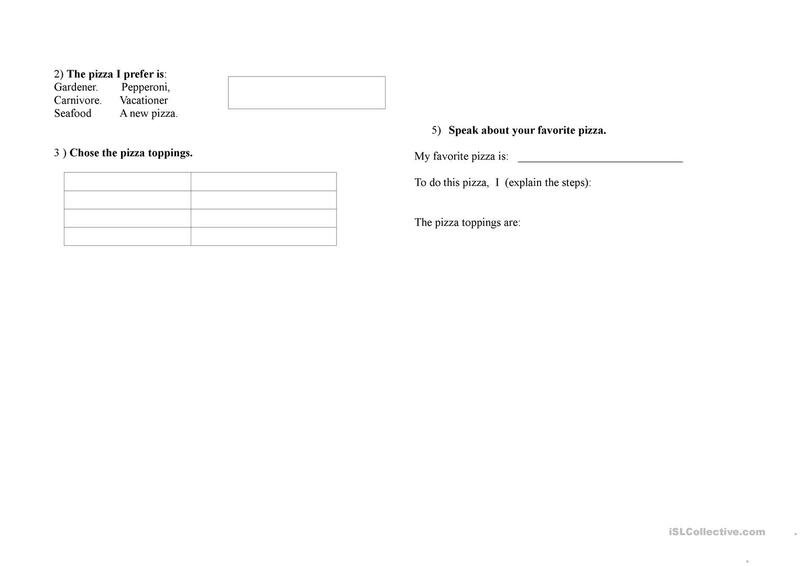 It is excellent for enhancing your students' Speaking and Writing skills. It features the topic and words of Food. spc20012002 is from/lives in Spain and has been a member of iSLCollective since 2013-04-19 09:56:20. spc20012002 last logged in on 2015-05-06 11:02:16, and has shared 1 resources on iSLCollective so far.